Nothing is more impressive when you have a guest over than giving them a quality cup of coffee. It's warm, inviting, encourages great conversation and really makes you look like the host with the most, so to speak. That’s why when people come to your home, it’s important to brew the perfect cup of coffee so that amidst your fellowship, you can offer them a beverage that speaks a universal language all by itself. Do: Select a Coffee Maker that suits your style. Before brewing a cup of coffee, it’s important to pick the right type of coffee maker that will fit your lifestyle and suit your needs and tastes. What type of machine would benefit you the most? Would a machine that brews full pots of coffee be right for you, or would a machine that brews individual cups? This is the difference between the classic, albiet cheap, Mr. Coffee, and the very pricy and elaborate personal espresso machines. How much time do you have to invest in your cup of coffee? How much cleaning is involved? Is it expensive to run (i.e. individual cups vs. whole bean)? Don't: Pick something ultra fancy that you're just not going to invest the time or money in to. Be sure to pay attention to the style and design of the coffee maker. Picture it sitting in your home. Will it complement the other appliances? Also, take color into consideration. What color would go well with your kitchen décor? Ask yourself the questions above in regards to whether or not it suits your lifestyle, time and effort. Having a wonderful, expensive espresso maker might not be a good investment for you if you don't want to spend the time cleaning or using it. If possible, purchase organic fair-trade coffee to ensure that you will avoid pesticides, benefit from its nutrition, and pay a fair price. When buying your coffee, you will be able to choose from several types of brews like French Roast, Italian Roast, Espresso, and other specialty blends. You may have to sample blends until you find one you like. Keep in mind, dark roasts, despite stronger flavor actually have less caffeine and less subtle flavor notes. Unless you and your family drink a lot of coffee, it is best to purchase your coffee a little at a time to ensure freshness. The fresher it is, the better it will taste. The best time to purchase your coffee is right after it has been roasted, so if you have a local coffee roaster take advantage of that and perhaps ask for their roasting schedule. Store it in a glass container to extend its shelf life. It is safe to refrigerate coffee BEFORE opening the package; however, do not refrigerate after opening because the beans may dry out. Always grind your coffee JUST before brewing. It is bad coffee practice to grind coffee beans all at once. This is because it exposes more of the beans' precious oils to going rancid and bitter as well as dampens the wonderful flavors and aroma of the coffee over just a few days. Flavor can be markedly different between fresh ground beans and several day old ground beans. When grinding your coffee, inquire about the best grinding method for your type of filter. Using the best grinding method will ensure that your coffee tastes as good as possible. Coffee that is ground too coarsely may come out too watery, and you may not be able to taste its fullness (underextracted). Coffee that is ground too finely may taste too bitter (overextracted). Grocery store grinders are used by many other people throughout the day and sometimes aren't cleaned for several days. This means that there are residues of other types of beans and roasts inside the grinder. This can affect flavor and overall consistency of your coffee. Also, as mentioned above, it is never a good idea to grind all your coffee at once. Not interested in having a home filter installed? Then have bottled water delivered by a Colorado Springs water delivery company and use it strictly for coffee brewing. Water companies can deliver filtered or spring water right to your home. Using the right type of water will preserve the flavor of your coffee and make it more robust. It will also keep the coffee pot cleaner for a longer period of time. When you are getting ready to brew your coffee, use filtered water. If you're a Colorado Springs local then you're blessed with quality tap water; however, there are many impurities in tap water that greatly affect the flavor of your coffee. Water filtration systems in Colorado Springs are plentiful, so you will be able to find one that suits your needs. If your coffee tastes weak, it’s possible that you haven’t used enough ground coffee. Check to make sure you added the correct amount. The standard for most machines is 1 tablespoon for 6 fl. oz. of water. If you are using coffee pods, make sure they are centered in the pod basket before brewing. If necessary, you can brew two pods to make your coffee stronger. If your coffee tastes bad, it may be ground too coarsely or too finely, as previously mentioned. 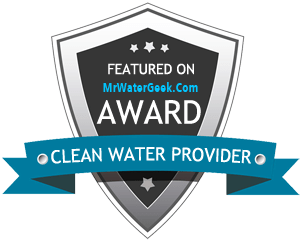 The quality of water may also be poor, which is why we stress using water filtration systems in Colorado Springs or water delivery in Colorado Springs. The next time you want to serve your guests coffee, keep these tips in mind, and you will be one step closer to brewing that perfect cup of coffee that you all can enjoy as you spend quality time together. Make sure you are brewing your coffee at 125 to 205 degrees Farenheit. It is a good idea to check your coffee pot every once in a while with a thermometer to make sure it is hitting the right temperature. If not, it is time to give it a thorough cleaning. For French Presses, check your boiled water with a thermometer and let it brew for only about 2-4 minutes. Overextraction or overbrewing can result in a bitter flavor.